Hello, beauties! 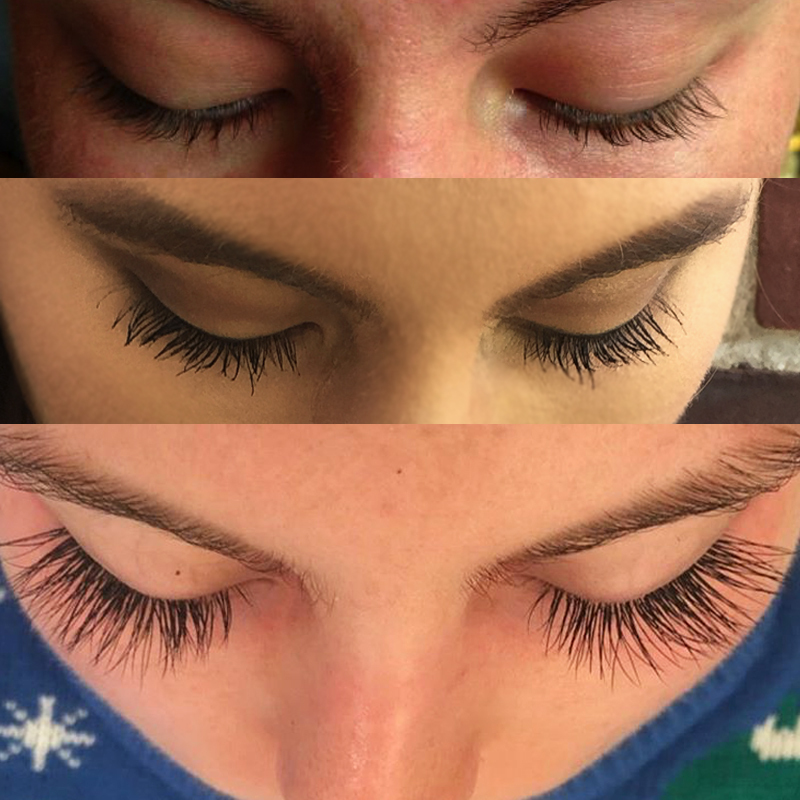 I am back with another post discussing my lash extension experience! I first got lash extensions at Ulta in New Hartford on Christmas Eve and I’ve been hooked ever since. I have ditched my mascara and have fully embraced the #IWokeUpLikeThis makeup look. Since getting the lash extensions, I’ve started gravitating towards more natural eye makeup with no liner and less shadow to show off my luscious lashes. However, the fuller effect you get with the extensions is also great for more dramatic eye looks which gets rid of the hassle of eyelash glue and caterpillar lashes that won’t stay on. Below is a comparison of my lashes with and without mascara before the extensions vs. the extensions without mascara. The first time I got them done, it was a three-hour process. But don’t worry, feel free to doze off on the comfy bed-like-chair-thing (I swear it’s comfortable). First, your bottom lashes are taped down which is a bit difficult to get used to at first but you don’t even feel it once your eyes are closed. Pro Tip: Keep your eyes closed throughout the entire process in order to keep them from burning and watering from the fumes of the glue. The process itself is not painful, it is actually somewhat therapeutic. Honestly, the most painful part is when the tape comes off at the end. My lashes are done by Courtney who is an absolutely fabulous lash goddess and is a great person to chat with during the long process and who will not judge you if you use that time to catch up on sleep. 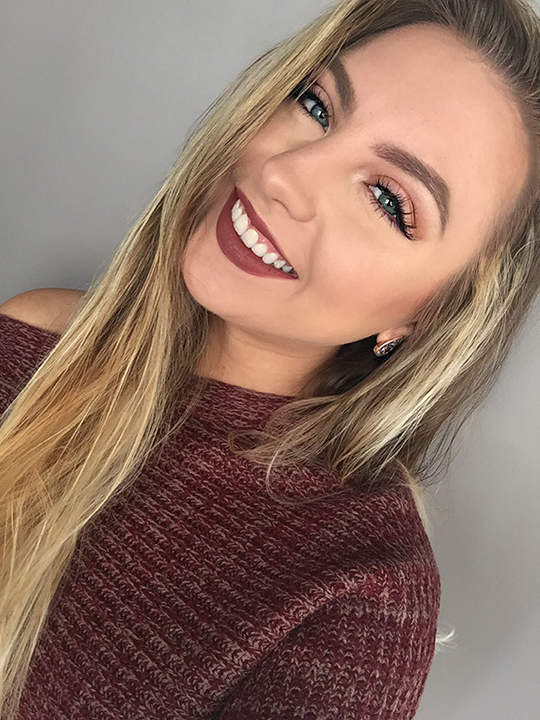 She is amazing at answering any questions you may have on your lashes or skincare in general since she is a licensed Esthetician. Three hours later you have amazing lashes that you will get tons of compliments on, trust me. Though lash extensions help out your morning routine, it is not as kind on your wallet. The first time you get extensions at Ulta, it is $150 plus tip. Then, you must get fills every 2-4 weeks, depending on how well you take care of them. Fills cost $80 plus tip on each visit which takes about an hour to an hour and a half depending on your lashes. However, once you add up cost of mascara, falsies, eyelash glue, and extra few minutes of sleep in the morning, lash extensions are worth the prioritization, at least for me as a Comette who would wear false lashes more often than others. Before you ask, “don’t the extensions make your lashes fall out? !” No, they do not. The extensions are attached to your natural lashes so as your natural lashes fall out (which they do everyday anyway) so will the extensions. They may cause breakage if you have weaker lashes but those are more likely to occur with cluster lashes since those are heavier. If you have concerns, I would contact Courtney to learn more. Overall, I highly recommend eyelash extensions at Ulta but be ready to become completely obsessed. Have you ever considered lash extensions? Do you have any other questions about it that I didn’t cover? Let me know in the comments below! See you next week for a new post!